Spain, France, Italy and Monaco–must visit countries for everyone. 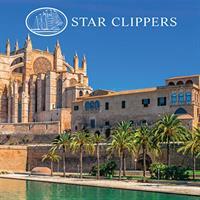 And on a StarClippers sailing, youcan visit several of them on one trip. Immerse yourself in theculture and history of the Old World. Enjoy the natural scenery. Delve into thearchaeological remains found throughout. Book one of the select sailings and we’llincludean airfare credit of $500 per person, to help you get to your sailing port. Take advantage of these savings, contact ustoday!Plus, mention that youare achamber member to receive an additional $25 off! *Contact us for complete details.